Apartment professionals need timely and helpful information to stay competitive, and Apartment Postcards is here to help. In our apartment marketing articles, our primary focus will be on apartment marketing strategies and techniques that can help propel your property to 100% occupancy. Because there are so many ways to market your community, streamlining the effort can seem almost impossible. With so many print, mail and Internet options available, marketing can seem like a huge task. You'll be relieved to know that we're here to offer suggestions and make the process easy for you! Even though most of these articles are posted on TheApartmentMarketer.com, we've listed some of our more popular articles here. Fill in the fields below to sign-up for our FREE direct mail marketing newsletter, "The Occupancy Booster." Each edition is packed with marketing tips, money-saving specials and free giveaways. We promise to keep your information private and will not share it with anyone. It's A Leasing Battle. Will You Or Your Competition Win? There's no doubt that the multi-housing industry is still feeling the effects of this depressed economy. The leasing landscape has changed, even over the last year, and to make your property succeed, your marketing tactics must also change. THE REALITY (PART 1): Leases and occupancy are down everywhere, and fewer prospects are signing new leases. You can no longer afford to "lose one" and move to the next. The one you lost may be the ONLY one this week, or in some cases, this month. THE REALITY (PART 2): You MUST realize that your competition is having a meeting across town RIGHT NOW. They are lowering prices and planning new strategies to capture any and all prospects. They're doing this behind closed doors, waiting for an opportunity to get ahead wherever possible. It's an all-out battle. Fought prospect-by-prospect, lease-by-lease. These are a few of the marketing ideas and strategies that you must implement to come out on top. Problem: Perhaps you have tried direct mail in the past and did not get the results you expected. Solution 1: Not all direct mail pieces/companies are made equal. If you let the Direct Mail Experts at Apartment Postcards handle your direct mail campaign, you can expect great results. We produce the highest quality direct mail postcards that reflect our 20 years of design experience. We know the apartment industry, and we know how to get you leases. Request a free sample kit to see the difference that quality and experience can make. Solution 2: Who did you target with your direct mail postcard? If you didn't mail to the renters at the communities with whom you compete every single day, your postcard might have been delivered to prospects that aren't even qualified to live in your community. When a direct mail postcard reaches your exact target market, your traffic will always be qualified, and will always produce leases. Solution 3: Perhaps the traffic from your direct mail piece was not tracked properly. A properly executed direct mail campaign will result in phone calls, walk-in traffic and web traffic. If every prospect is not asked, "How did you hear about our property?" then you could have missed the true results. Problem: You are hesitant to advertise your low prices. As the heat of the summer leasing season begins to fade, there are still many properties with "way-too-many" vacancies to fill. With higher than expected vacancy rates all across the country, fall is the perfect time to entice prospects to lease at your property. With winter on our heels, it will be much easier to fill those vacancies with a crisp breeze in the air rather than with a few feet of snow on the ground! For this reason, the apartment marketing experts at Apartment Postcards have compiled 10 fall-themed apartment marketing slogans that will help you lease apartments. We know that a strong marketing effort is needed to get your property to 100% occupancy, and we want to help kick start your fall marketing program. We've already given you ideas on how to create the perfect slogan for your community. Now all you have to do is add any of these slogans to your marketing materials for a fall campaign that will generate tons of traffic and plenty of leases! - The Fall Spectacular Is Here & Now! It just sounds cool, "We're advertising online." The sentence carries an edgy tone to it that tells others that you know what you're doing. That's about all of the glitz and the glamour of online apartment advertising...now, let's talk about the truth. The truth about online advertising is that it's a tough world out there. It's almost impossible to rely solely on online advertising to bring in enough qualified apartment renters, month after month, to keep your occupancy high. With the amount of online ad space that's sold every day, how are you supposed to make your community stand out from all the others? YOU WON'T STAND OUT BY ADVERTISING ON POPULAR APARTMENT WEBSITES! Apartment Postcards believes there is a better way to achieve a strong web presence without advertising with all of your competitors. When you advertise on popular apartment websites, all of your comp properties are just an easy click away. When a prospective renter goes online to see what apartments are available in their local area, how long will it take before he/she eventually finds your community? How many of your comps will they have had to wade through before seeing the ad you pay for every month? Hundreds? Even thousands? And, what is it about your ad that will entice them to visit your property over the others? Even if you're paying big bucks for a premium position on one of these popular apartment websites, your competitors' pages are only an easy click away...and you can be sure your prospects are going to check them out. Your community needs a simple, effective alternative to those non-performing websites where the odds are seriously stacked against you. Fortunately, at Apartment Postcards we know how to get qualified prospects to go directly to your community's website without having to click through all of your comp properties first. The solution to running a successful Internet advertising campaign is to have your own website and to publish your web address on every marketing and advertising tool available. Have you ever spent a good portion of your marketing budget on a direct mail postcard and then felt like something just wasn't right? After waiting and waiting for the phone to ring or new prospects to show up, you finally realize you're not getting any new leads, much less leases. You can't help but wonder what went wrong. Why didn't your direct mail work? There's a reason why Apartment Postcards is known throughout the apartment industry as "The Direct Mail Experts." In our 20+ years of experience, we've seen just about every direct mail mistake an apartment marketer can make. We've studied what works with direct mail and what doesn't. We know how costly even a small mistake can be, and because we're committed to providing the best service in the apartment industry, we want to share the "5 Direct Mail Mistakes You Can't Afford To Make." These mistakes can sabotage even your best efforts to generate leases and can keep you from earning the highest possible ROI. One of the first decisions you'll make on your direct mail journey is the size of your direct mail postcard. You may think that postcard size doesn't matter, but don't be fooled. While some marketers opt for a 4" x 6" postcard to save a few bucks, those informed marketers who know how to generate leases through direct mail won't even consider this option. At Apartment Postcards, we offer only large, 5.5" x 8.5" or 6" x 11" direct mail postcards because we know that if a postcard doesn't grab your prospect's attention instantly, then it never will. Since small postcards don't have the same impact or marketing power to prompt an immediate response, let's just leave them for the competition. When your large postcard begins delivering leases the day it hits the mailboxes, you'll know you made a wise decision. When considering the design of your direct mail postcard, you must think about first impressions. 50% of your postcards will be seen first from the front, and 50% will be seen first from the back. If you try to save a little money with color on only one side, then half of your prospects will be drawn to what appears to be a beautiful, full-color postcard, while the other half will ignore it completely. Why? Because it looks like every other piece of black & white mail in the box. Think about it. You paid to reach 100% of your target market. Why settle for grabbing the attention of only 50%? With our 20+ years of experience, we know that two-sided, full-color postcards absolutely command more attention and yield better results than black & white versions. Because we are so sure that it's the right choice, Apartment Postcards will only print your postcard in full-color. Much too frequently, we see direct mail postcards that leave the entire back, right side of the postcard blank! We can't decide if the apartment marketers producing these are opting for an artsy, minimalist design, or if they are just unfamiliar with the postal requirements. Either way, they are forfeiting large areas of the postcard's real estate for absolutely no reason! We simply can't understand why someone would pay for the space and then not use it to its best advantage. What a missed opportunity. Again, our 20+ years of designing ads for apartment communities has taught us to use every available inch of your postcard. Apartment Postcards thinks your property deserves the right to achieve the best possible results without being shortchanged. We care about how your postcard looks, and we care about getting you results! Isn't it funny how every once in a while, a piece of mail will grab your attention? Somehow, it seems the sender knew exactly what you needed and when you needed it. Was that by mere chance, or was something else going on? For example, let's assume that you watch your car mileage to determine when it's time for an oil change. You calculate that you can drive another week before taking the car in for service. A few days later you receive a postcard promoting a great special on oil changes. What lucky timing, right? Wrong! It wasn't luck. It was part of a carefully planned strategy to get your attention and prompt you to action when you're most likely to respond positively! Wait! How would they know you were due for an oil change? It's not as mysterious as it seems. In fact, it's a simple, straightforward and scientific method to hitting a carefully defined target at just the right time. You probably don't remember, but the first time you took your car in for service they collected a little information about you and your vehicle. Then a computer started tracking your service pattern and began calculating when your next oil change would likely be needed. When the "magic date" popped up, you were sent a special offer. Simple, yet scientific, and totally effective! Maybe you're reading this and saying, "Wow, if my community had an ad agency, we could create a targeted direct mail campaign that would reach qualified prospects just when their leases are up for renewal! My property would stay at 100% occupancy all year long, and leasing apartments would be a breeze!" You'll be relieved to hear that creating a direct mail piece that targets only qualified renters in your area is much simpler than you think! Other businesses have to consider consumer buying cycles, but not the apartment industry. Every 12 months a renter is going to sign a new lease, and it's either going to be with you or one of your comps. Fortunately, you don't need a big ad agency or a $20,000 marketing budget to pull in those leases. Apartment Postcards can handle everything you need. We have monthly direct mail campaigns starting as low as $800 per month and one-time direct mail starting at $1,125. Let me tell you how we do it! A recent apartment publication had an astonishing statistic regarding one of the nation's largest and strongest apartment markets. 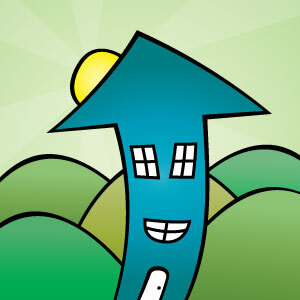 Incredibly, in the fourth quarter of 2008, the vacancy rate in Phoenix, AZ hit a record high of 14.7%! In this challenging environment, how can a manager, regional, marketing director or owner reduce the vacancy rate, and increase the bottom line? The only answer is smart marketing and hard work. We know some communities will continue taking the loss until the economy turns around, hoping that empty units will fill themselves. Unfortunately, as those of us who have been in the industry for a long time know, that rarely happens. No matter if you're in Phoenix or Maine, when your vacancy rates are over 5-6%, you cannot afford to waste any advertising dollars! When you pour money into apartment magazines, Internet sites and newspapers, those companies are using your advertising dollars to present your community to UNQUALIFIED prospects. They promise that your message will get out, but can't control who will actually see it. Their marketing philosophy is that if "you throw enough spaghetti against the wall, something has to stick." Don't you deserve more? You've worked hard to establish yourself and your community, and settling for expensive and ineffective advertising is a recipe for disappointment. When you commission Apartment Postcards to create a custom-designed direct mail campaign for your community, you'll receive a first-class marketing solution with a proven track record spanning more than 20 years. You see, we don't simply throw a few pictures on a postcard and mail it to "apartment shoppers." That's not the way that Apartment Postcards has gained an industry-leading reputation as "The Direct Mail Experts." We work hand-in-hand with you to create a beautiful postcard that will engage prospects the moment they see it in their mailboxes. When they arrive at your property for a tour, with your postcard in hand, you'll know your advertising dollars worked! Many people question the effectiveness of direct mail. Many also question the effectiveness of targeting only qualified prospects at surrounding comp apartments with a direct mail marketing piece. Some call it "old fashioned," to others it's "wasteful spending" or "risky marketing"...but those apartment communities taking our word that direct mail marketing is the #1 advertising source for apartment communities call it MONEY IN THE BANK! We get astounding results for our clients every single day. Recently, we designed a 4-property postcard for a client that generated an amazing response! The direct mail postcard delivered results of 25 LEASES IN ONE WEEK! If anyone can match those results with any other type of marketing, we'll take our hats off to you. What makes these results even better is the fact that the 25 leases were generated in the first week alone! These properties still have weeks and weeks of "lease harvest" to bring in from their direct mail postcard. If you've ever doubted the effectiveness of a direct mail postcard, this is the week to make yourself a believer. We are on the heels of the hottest leasing season in years, and we are practically giving away these direct mail campaigns to help your community reach 100% occupancy! Everything you need to know about apartment brochures. Brought to you by the marketing experts at Apartment Postcards. Apartment professionals across the nation share one common goal, and that's to reach and maintain 100% occupancy. How they go about making that happen, however, can range from one end of the marketing spectrum to the other. A little experience makes it clear that one of the best ways to present your community to a prospective resident is with a carefully designed and produced brochure. How is it that so many communities miss this simple, powerful and cost-effective tool? Apartment brochures, just like the communities themselves, come with a wide range of characteristics. Whether your brochure is a beautiful, 8-page spread printed on high-quality paper, or a flyer that has been run off the same black and white copier for 10 years, they both do the same thing: tell the story of your community. The question is, will that story engage and entice prospective residents, or will it send them down the street to the competition? Apartment brochures are important for many reasons. Of course, they show your amenities, floor plans, location, and may even include a site map of your community. But the single most important reason your apartment community should have a beautiful, well-designed brochure is because of the selling power that it provides. You already know that prospects will usually not visit your community and sign a lease on the same day. Instead, prospects are more likely to tour your property and then move on to visit your comps. Later, they will review the marketing materials they've collected, study the floor plans and site maps, and make an informed leasing decision based on what they see in the brochures and what they remember about the properties. A well-designed brochure stands out from all the others because it reminds the prospect of your unique features, amenities and floor plans, and gives a sense of the inviting lifestyle your community offers. If your brochure is so enticing that a prospective resident turns to it again and again, it essentially serves as a trained leasing consultant who can skillfully convert a prospect into a resident. There are endless options when it comes to the style and design of apartment brochures, and that means some careful decisions are necessary. For example, choosing from among the many different folds, sizes and paper combinations can be challenging. Showcasing your amenities and floor plans in the best possible light calls for creative design. With our many years of experience and our professional team of designers, we've learned how to make the entire process simple, effective and fast. Because we want the best for your property, we're providing answers to the most common questions in "The Definitive Guide To Apartment Brochures." When you make smart, informed brochure decisions, you'll see more prospects coming back to your leasing office with pen in hand. Here we go! Why are more apartment professionals dropping their ad agencies and turning to Apartment Postcards to meet their apartment marketing needs? The answer may sound a little corny, but it's true: it's because we are superstars when it comes to producing professional marketing materials that create exceptional results for less money. We are a small group of dedicated professionals who always put the property and marketing needs of our clients first. As a result, we have been selected by thousands of apartment communities nationwide to develop marketing materials and direct mail programs that consistently increase qualified traffic and boost occupancy. There's no need to waste tens of thousands of dollars with an ad agency when Apartment Postcards can deliver all of your marketing solutions at a fraction of the cost. Our team is as talented and experienced as they come, and you can be confident that we always deliver on our promise to build your brand. We've been handling apartment marketing campaigns for over 25 years, and your property can enjoy signifcant savings when you order directly from The Apartment Marketing Experts. Below are the top 10 reasons why we outshine and outperform every other marketing company, ad agency or Internet printer you can find, and why so many major management companies in America turn to us. 3 Direct Mail Truths From "The Direct Mail Experts." Part 1 of 3: Direct mail is all about consistency. If you don't think of direct mail as a primary source of apartment advertising, then you're missing out! Your property can receive more qualified leads month after month with a custom direct mail campaign than with any other form of advertising. When compared to apartment publications, apartment websites or local newspapers, direct mail marketing will drive more qualified leads to your property than any other advertising source. In this 3-part series, we're going to take a look at 3 truths about direct mail that you won't hear from anyone besides "The Direct Mail Experts." To fully understand how direct mail works, we first need to exactly define your target market. Your target market consists of renters who already live in your area, can afford to live in your community, can move within 30 days, and meet the criteria of your property. Part 2 of 3: Direct mail reaches prospects that traditional apartment advertising can't. I'm a renter, and truth be told, I haven't been to a grocery store in a few weeks. I use a credit card to pay for my gas, so I rarely walk inside a gas station. The last time I pulled over on the side of the road for anything was when some papers accidentally flew out of my car. I don't subscribe to the newspaper, but I do subscribe to NetFlix and haven't stepped foot in a Blockbuster Video in probably 5 years. Why do these facts matter to you? Because these are the places you advertise! In grocery stores, gas stations, video rental stores, the newspaper and even on the side of the road. Apartment publications try to place their books in any empty corner they can find, hoping and wishing that qualified prospects will pick one up and find you. How is your marketing message going to get in my hands? Of course, I'm not implying that every apartment renter is exactly like me, but the truth is that people today don't live the traditional lifestyle they used to. You can pretty much get anything you need, any time you need it, at the click of a button or with a swipe of a card. Apartment advertising venues just haven't kept up. The marketing tactics that worked 10 years ago won't work today. One thing has stayed the same though; the mailman still delivers 6 days a week through rain, sleet, hail or snow. A direct mail postcard is the only sure-fire way to know that your marketing message is reaching prospects. Why risk your advertising dollars with apartment publications and websites that advertise your community where only a handful of renters will see your marketing message? 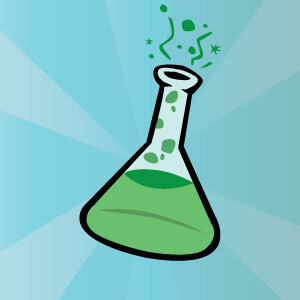 Wouldn't you rather be certain that your marketing message reaches 100% of your target market? Part 3 of 3: Apartment direct mail postcards should not target businesses, homeowners, single-family renters and NEVER zip codes! "Wait, Wait, Wait! Stop the press! If we're not supposed to direct mail to zip codes...then who is there to mail to?" If this is anything like your response to hearing Direct Mail Truth #3, I'm afraid you've been misled into thinking that by mailing to businesses, homeowners, single-family renters and zip codes, a direct mail postcard will attract renters to your community. It takes a targeted list of apartment renters to see real results. If your property has previously direct mailed the markets listed above, I fear you've wasted a lot of advertising dollars. Apartment Postcards doesn't operate like other marketing companies. When you call to get your direct mail campaign started, we don't pretend to already know who is qualified to live in your community. We let you tell us. You give us the actual names of properties that have renters who are qualified to live in your community, and those are the only people we target with your direct mail postcard. We have direct mail marketing down to a science, and targeting your comp properties is the only way to generate the kind of traffic that turns into leases. When you target anyone besides local apartment renters, you're taking a big risk. These generic mailing lists come fast and cheap, and that is why they are suggested by the other so-called "industry experts." In our present shaky economy, people are afraid to invest. The stock market is up one day and down the next. Gas prices are falling one day and reaching record highs the next day. On Monday one company owns your bank, and on Tuesday it's taken over by another. I don't blame people for not investing in this "risky" market, because it truly is risky. But, what would you do if I told you I had a guaranteed stock tip. A tip that works every single time, and has no risk involved at all. Would you believe me? Would you be a little interested? Probably not. But what if I told you that I have over 20 years of proven experience and that all my clients are millionaires. On top of that, every client that still uses the tip continues to see growth in his or her portfolio. Now I have your attention. ...but separating from your competition will cause your occupancy rates to soar! You know the feeling...worry, fear, maybe even dread. We hesitate to make the break because change is scary, even when we know it's the right thing to do. Unfortunately, in today's multifamily housing environment, Separation Anxiety is just too dangerous to ignore. Can we agree that not many QUALIFIED prospects are going to come through your doors from apartment guides? But, isn't qualified traffic exactly what we're looking for? After all, QUALIFIED TRAFFIC = MORE LEASES = 100% OCCUPANCY! I'm not saying that these books don't work at all, but are they really the best use of your advertising dollars? Can you accurately identify and track the leases that these pages produce for you, or do you just cross your fingers and hope they throw a little traffic your way? You need to "break up" with your competition, and separate your marketing efforts to see the best results from your advertising dollar! 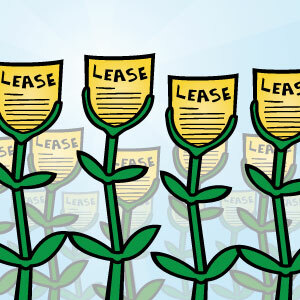 Apartment Marketing Slogans That Lease, Lease, Lease! Trust me...I know. Coming up with an effective slogan for your apartment community can be one of the most difficult parts of apartment marketing. The problem is not just coming up with a catchy slogan; that task is pretty simple. The real task is creating a catchy slogan that will also entice prospects to LEASE FROM YOU! After all, leasing apartments is the bottom line! All you have to do is keep your slogan simple, relate it to your property and create a desire to live in your community. Of course, you have to do this while convincing yourself that what you come up with doesn't sound stupid. When you start looking for the perfect set of words that describe your community it seems the world has been laid before you. You have a blank canvas. You can say, well, pretty much anything. What image do you want your slogan to portray? Do you want it to directly relate to your community's setting? Do you want to create a slogan that makes your property seem better than it really is? (Think about that one for a minute. You've bought goods and services from vendors who used exactly that strategy, so you know it works. In my mailbox this week was the newest issue of Units magazine. If you've never had an opportunity to browse through this publication, you should know that Units magazine is the ultimate source of information about the apartment industry, and its reputation is irrefutable. I often get great marketing ideas just by flipping through the pages and reading articles that aren't related to marketing at all. For example, I got excited when I saw the title of the July 2008 cover article: The Annual Check-Up: Improving Curb Appeal Brings a Healthier Bottom Line. A lot of people don't realize that the same principles that apply to property management apply to all aspects of apartment marketing! When you improve your aesthetic curb appeal, people start to see your community in a whole new light. New paint can bring in new renters. New kitchen upgrades bring smiles to the faces of prospective renters. New landscaping catches the eye of people who have never noticed your community before. A new dog park can attract a sector of renters that you've never reached before. Upgrading your curb appeal increases your bottom-line EVERY TIME! In the apartment industry corporate branding is everywhere. Branding isn't just about having the same logo or design on your business cards. Branding is about creating customer loyalty that GENERATES LEASES! This is why branding is so important! Corporate branding also isn't just a buzzword that is taught in marketing classes across the country. Branding is a serious tool that can help you achieve all the goals that your company has set for itself. Coca Cola doesn't spend over 1 billion dollars building their worldwide brand just so they can have a nice logo on their company stationery. They spend the big bucks building their brand so that they will create customer loyalty, which will then produce more sales!